His love of data started when his mentor, Thom Mastrelli, brought him on board the data train at Nielsen. “He said, ‘Listen, kid, you’ve been working at the New York Times in ads, you should be in a 21st century business like data,’” Evans recalled. Working with data was like “solving a Rubik’s Cube in my head,” and he truly enjoyed the challenge. 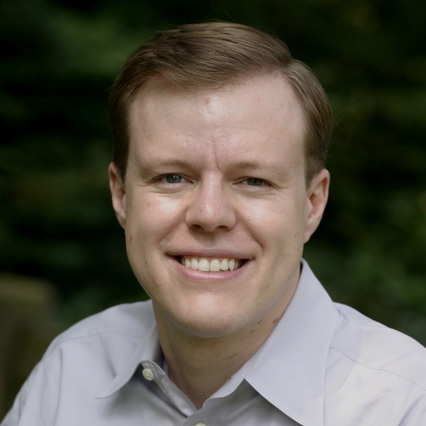 At Nielsen Evans learned how to solve marketing problems with data. He also recognized the power of being able to translate dataspeak to English. In fact, it is his “mission to be the guy who turns data and AdTech into ideas that everybody can understand,” he said. This qualifies him as the perfect person to work with local businesses that want to learn how to better reach specific audiences efficiently and effectively through technology. At Comcast Spotlight he enjoys working with local businesses because they “really know their customers. They shake the hand of their customers, and every penny of investment is coming out of their pockets. They really focus on sales.” Evans gets a real kick when small business owners use the phrase, “Make My Door Swing.” For the small business owner, sales are their lifeblood and this opens the door to a dialogue led by big data and segmentation that goes way beyond their age/demo segments that they are used to. “The point that we are trying to emphasize in ‘The New TV’ is that multiple access points for video have created a larger, fast-growing, frothy, heavily investing marketplace for content to match consumer and context,” Evans explained. 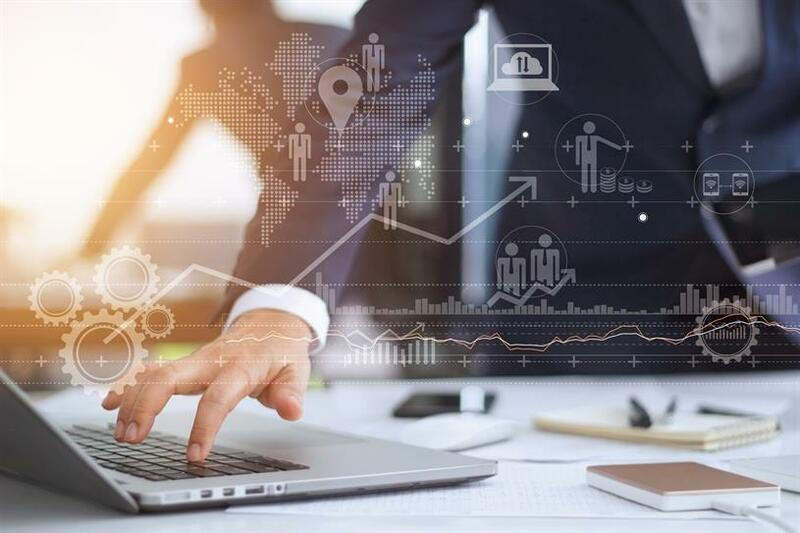 That explosion of content and devices has led to a wealth of data generated by over 17 million HHs, which Comcast Spotlight can use to move local marketers into a model that allows for addressable targeting and robust segmentation. “The New TV” highlights a test and control case study conducted on behalf of a local auto dealership. The results of that study not only illustrated an incremental lift by targeting audiences and widening the field of networks versus the content-focused plan, but website visits rose 13% over the course of the campaign, while the conversion rate of immediate visitors more than doubled versus the control. One of the challenges Evans faces in working with thousands of SMBs across multiple geographies versus a national (or full footprint) marketer is scalability. With national campaigns at significant budgets, you can rationalize the allocation of resources for set-up and analysis of addressable segments and campaign attribution. Local budgets, while significant in aggregate, are laborious on an individual client and market level. In the coming weeks, Comcast Spotlight has a game-changing solution on deck. “Over the next few weeks, we’ll be rolling out our first set of tools that allow local advertisers to deploy audience-driven campaigns at scale,” he said. The main point that Evans hopes you’ll take away from “The New TV” is that TV is alive, well and thriving — just different. It is a full funnel enhanced by the audience-driven targeting capabilities designed to close the deal, but still very much empowered by the upper funnel abilities to drive the emotional power of brand via direct connections with premium content. The outcome is more consumer engagement and time spent with sight, sound and motion media. Did you know that the average price across all national TV advertising in the U.S. is less than $2.50 CPM? In fact, $2.26, to be more exact. Are you surprised by how low that number is? Most people I talk to are, particularly if they come from the digital world. There, most branded premium video ads against broad targets sell for CPMs more in the $10 to $75 range. Most folks assume TV is at least as expensive. Where did I get that number? I based it on Nielsen AMRLD data and Kantar ad occurrence data, in which national TV broadcast and cable networks delivered 19 trillion ad impressions over the past year. According to Magna Global’s numbers, national TV advertising generated $43 billion last year. Divide the second by the first and you get a $2.26 cost per thousand. Pretty sobering. Over the past week, I’ve asked a dozen folks in the industry to make their best guess of the average CPM of national TV advertising in the U.S. Only two were close (almost exact, actually), but each of them run TV network sales groups. All of the others, mostly digital folks, guessed dramatically higher numbers. Why this disconnect to reality? Demo and dayparts confuse the macro story. Almost every time you hear or read about TV ad CPMs, it’s in terms of the 18-49 demographic segment (only 40% of the TV audience) and relative to prime-time shows (perceived as the most valuable and scarcest). And, sometimes, the numbers even have the “broadcast” caveat, which typically have higher prices than their cable programmer brethren. Virtually all trade and business stories about TV advertising tend to use language like “$42 CPMs against the demo on broadcast prime,” not “all P2+ (persons two and older) and aggregated across all networks, days and dayparts.” How quickly $42 can become $2.26. TV measurement language is very different from digital. TV people talk differently than digital people, and vice versa. Most digital folks I talk to don’t even know the term “P2+.” Enough said. TV advertising delivers massive scale, which is underestimated by most. Once again I remind you that today, “Judge Judy” delivered more audience ad minutes (more people in the U.S. watching more video ad time) in just two 30-minute episodes than all of the video on all of Google’s YouTube watched in allof America all day. Yes, all videos in all of the U.S. all day long. What are the implications of TV advertising’s $2.26 average CPM? First, to anyone who understands the power of media, and the unique power of TV’s sight, sound and motion and quick sales-driving impact, you can’t come to any conclusion but that a lot of TV advertising is underpriced. For sure, most marketers and most TV ad buyers can’t access TV in the ways that they need to exploit it in the way that they can with digital deeper targeting datasets, ability to pick and optimize at the spot level, fast reporting and fast creative swapping, centralized cross-network optimization. However, there are initiatives under way at all of the TV companies to solve these issues. What might the future hold? I believe that better use of data, science and software is going to enable TV companies to drive higher prices over the next three or four years’ prices — $3.50+ CPM on average is certainly reasonable — and still deliver even better and more predictable ROI for advertisers. That will happen, and most folks will win. TV networks will get more yield on their audience. Advertisers will get more customers. Nielsen and other data companies will sell more targeting and measurement data. And consumers will get more relevant ads. In this age of DVRs, mobile devices, streaming services and other inducements to support the “when and where you want” programming philosophy, the syndication landscape is not without its growing pains. Any business is an evolution, particularly in this era of “Peak TV.” Every outlet must search for new revenue streams. And maintaining a piece of the advertising pie in this upfront season is more of a challenge than ever before. But syndication offers several key advantages, among them longevity and live viewing. Approximately two-dozen first-run syndicated strips at present are past the full decade mark (with this unprecedented durability spread across all genres). Some strips have exceeded two decades; a handful has surpassed three decades; and the majority of these veteran series are expected back next season. An estimated 94 percent of the audience, meanwhile, still consumes its content live, which keeps syndication in a protected bubble of sorts. These offerings are familiar to the available audience. The distributors know exactly who the target audience is, which is a real advantage for an advertiser looking to reach a specific demographic. And relative consistency via the traditional Nielsen ratings is the overall pattern this season, to-date, in syndication versus last year. For any content platform at present, syndication included, the primary goal is adapting to the rise of digital consumption where platforms like Netflix, Amazon, and Hulu have redefined the viewing experience. That being said, they aren’t viewed live, and in the case of Netflix and Amazon they don’t sell ads in the programs. ”When you talk about live viewing it is daytime, it is access, it is late night, it is everything to do with syndication, and that is one of the reasons why advertisers do like this business” said Michael Teicher, EVP, Media Sales of Twentieth Television. Teicher oversees all sales initiatives on behalf of Twentieth Television and distributor Debmar-Mercury, which in the first-run arena includes “Divorce Court,” “Family Feud,” “The Wendy Williams Show,” Endemol’s “Page Six TV” and the upcoming “Caught in Providence” from Debmar and Discovery’s “True Crime Files,” which both launch next fall. “True Crime Files,” meanwhile, is a repackaging of 260 broadcast premiere hours selected from its current cable home, Discovery ID. Westinghouse Broadcasting, also known as Group W, produced shows back in the 1960s and beyond like talkers “The Mike Douglas Show” and “Hour Magazine” in daytime, and “The Merv Griffin Show” in primetime and late night. And this trend of more original production by the station groups has returned via a series like “Top 30” from the Fox Station Group, which was launched as a test-run on select Fox stations in the summer of 2016 and began nationally this past fall. Another model in syndication, which is becoming more common, is the test-run, which is a proven strategy to position, and ultimately test a new series. Once recent example of a successful test-run is aforementioned “Page Six TV,” which debuted nationally last fall after an initial three week run on the Fox Television stations in the summer of 2016. In the recent week of March 12, “Page Six TV” was the only syndicated freshman strip on the week-to-week plus side, increasing by 14 percent and matching its highest rating of the season, according to Nielsen. Is the Digital “Honeymoon” Over? Procter & Gamble, for example, was so concerned about where its ads were showing up online it cut its digital ad spending in second quarter 2017 by a reported $140 million. Yet, there was still an increase in revenue (albeit a minor two percent) despite the drop in digital ad support and based on the traditional television advertising they did in the past. 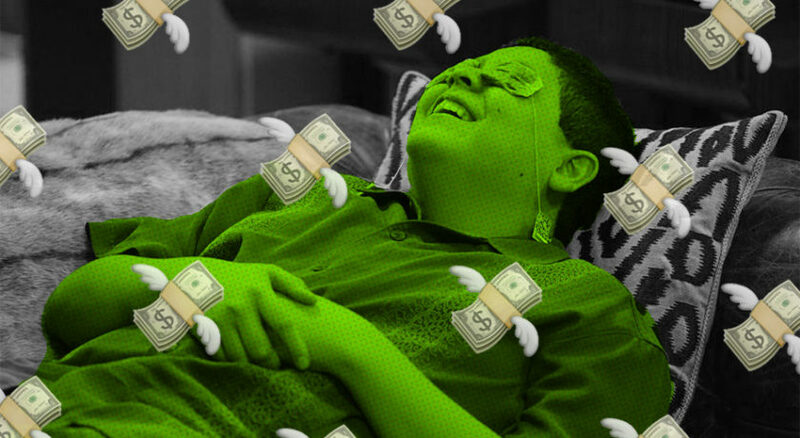 As the various TV networks and digital publishers tout their attributes (or exaggerate their shortcomings) to the media buyers, marketers and prospective advertisers in their quest to snag advertising dollars for next season, let me begin with a quote from Nickelodeon Group President Cyma Zarghami. Nickelodeon opened upfront season with a presentation on March 6 at the Palace Theater in Times Squares, the current home of “SpongeBob SquarePants: The Musical,” where Zarghani said her network’s immediate focus is on the traditional linear programming landscape as well as new partnerships and technologies. This extended reach, or quest for it, no doubt, will be the theme of note at every presentation. Every platform will likely claim they are best equipped to reach their target audience, both on linear and digitally. Every outlet will stress the importance of social media. And the ongoing presentations will certainly focus on how each individual outlet will attempt to break through the clutter (more than 500 original scripted series are airing at some point across all platforms this season) with, of course, the next generation of “can’t miss” entries. So far, I have been to two cable network 2018 upfront presentations in New York, including A+E Networks (which was themed specifically to women and consists of History, Lifetime, Viceland, Biography and A&E). The list of pending upfront presentations through May includes…deep breath…IFC, Discovery Networks, National Geographic Channel, Pop, Hulu, Turner, Univision and the five broadcast networks: ABC, CBS, NBC, Fox and The CW. And let’s not forget the NewFronts, the digital media world’s answer to the upfronts. In other words, I will be fully equipped to discuss the spin versus the reality as upfront season deepens. Since no outlet will ever admit anything is wrong, my immediate advice every year at this time is to take what you hear with a proverbial “grain of salt.” And I would keep that in mind, in particular, if anyone suggests that the linear broadcasting model will become extinct as a result of digital. Last year, in fact, ad sales in total for the five broadcast networks were reported to increase by three to four percent, securing a reported $8.69 billion to $9.55 billion in advertising commitments (according to market research firm eMarketer). And, this year, at a time when there is still no set formula how to monetize viewing done on mobile devices and using streaming video, the linear expectations point to more potential minor increases. One major advertiser, Procter & Gamble, was so concerned about where its ads were showing up online it cut its digital ad spending in second quarter 2017 by a reported $140 million. Yet, there was still an increase in revenue (albeit a minor two percent) despite the drop in digital ad support and based on the traditional television advertising they did in the past. That said, perhaps the better word to describe the linear marketplace is “evolving.” While the traditional Nielsen ratings on the five broadcast ratings continue to diminish this season (31.79 million viewers in total, on average, through March 18 is down by five percent from one year earlier; a 7.8 rating in adults 18-49, on average, is a decline of 10 percent), marketers are not about to abandon the linear medium. Pay-TV customers often have hundreds of channels at their fingertips, but the vast majority of them watch fewer than 10. TiVo’s quarterly Video Trends Report found that 83.5% of pay-TV users surveyed watched 10 channels or fewer, and the number of individuals who watch 11 or more channels was down 2.6% from the previous quarter. TiVo asked respondents to pick the channels they would be interested in including in a hypothetical a la carte cable package. On average, respondents chose 19 channels. Only four cable channels – Discovery, History, FX and A&E – broke the 50% barrier among US respondents. In addition to providing info on which channels viewers value, TiVo offered insight into customer sentiment toward their providers. As of 1Q 2017, 78% of respondents were either “satisfied” or “very satisfied” with the level of value they were receiving from their cable/satellite service provider. Still, 48.9% of respondents indicated they could leave their provider in the next six months – 7.2% planned to cut service, 6.6% planned to switch providers and 31.6% were mulling a change. Of those considering or planning to change providers, 53.3% said they would consider staying if an option existed to pay for only the channels they watch, while 34.3% said they would consider staying if all video providers, including OTT services, were combined in one place. This, of course, speaks to the benefit of technologically advanced set-top boxes like those offered by Comcast’s X1 and TiVo. Only 17.2% of respondents indicated that their cable/satellite providers offered personalized content recommendations, while 26.8% were unaware of whether their MVPD offered recommendations. TiVo cited this as a concern given that 40.7% of Netflix users cited suggested shows as an appealing feature. In addition, 65.2% of respondents answered they are frustrated “always” or “sometimes” when trying to find something to watch on TV. Finally, of the 15.2% of respondents who do not have pay-TV service, 21.8% cut service within the past 12 months, a YOY increase of 4.4%. By Jack Neff. Published on May 19, 2017 . Traditional brand advertisers have tinkered with direct-response ads for years, largely to qualify for cheaper TV inventory. But direct-response advertisers rarely try traditional brand ads with story­lines. Now Proactiv is doing just that with a big brand campaign that included a Super Bowl ad during overtime in February, thanks to a contingency buy from Icon Media Direct. Fortuitously for them, the game did indeed go into overtime for the first time in its history. Behind the luck, however, was insight-driven strategy. The acne and skincare brand had already begun running a longer form of the ad featuring Olivia Munn as part of a new plan to use a more conventional branding approach, more like the personal-care advertisers you’d find on store shelves instead of late-night TV pitches. The insight was simple, said Jay Sung, CEO of Proactiv and a veteran of Guthy-Renker, which introduced the brand in 1995 and sold half its stake to venture partner Nestlé last year. Research found 90% of people are aware of Proactiv and most trust the brand as effective. But almost none could say why. “We run 5,000 TV spots a week,” Sung said. “For a consumer not to know that point of difference is a problem.” Perhaps more so, millennials thought of Proactiv as a classic “yell and sell” direct-response brand, and he believes that was turning them off. Beyond the Munn ad, Proactiv is leading even its more conventional DR ads, all from its in-house studio, with more conventional brand storyline footage at the front end, such as spots showing parents helping their kids deal with acne, before getting to the hard sell. It’s changed Proactiv’s media buying well beyond the Super Bowl. Proactiv still buys mostly cable, but more in primetime and higher-rated shows, which drove TV spending, as estimated by iSpot.tv, to $45 million for the three months ended May 2, nearly double the $24 million spent in the year-ago period. “Reports from Nielsen show that I was reaching everybody” with the old cable plan, Sung said. But with the Super Bowl, he said, it’s “a different kind of reach,” where people are more likely to be paying attention. The Super Bowl doubled traffic to Proactiv’s website and call center. But the longer-term effort, which really began when the branding ads started in late December and with a sustained increase in TV spending, has seen a steady rise in consumer response. Google Trends shows U.S. search queries on Proactiv running nearly double what they were a year ago. Proactiv will stick with the branding approach both online and on TV, which also includes a “We’re Here” ad focused on diversity (i.e., Proactiv working for all skin types and situations). Sitcoms like Modern Family offer brands a better return on their investment than other TV genres. 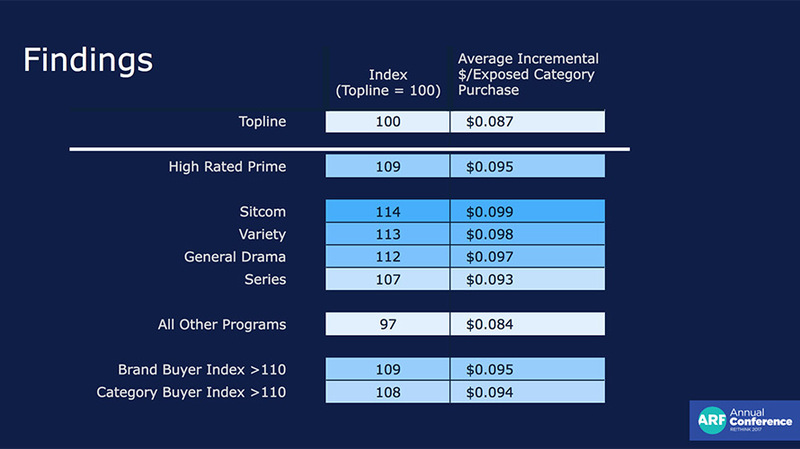 Advertisers looking for the biggest return on their investment should take a closer look at purchasing inventory on sitcoms, according to new research from CBS and Nielsen Catalina. That comes from an ongoing study about the impact of context on advertising effectiveness. 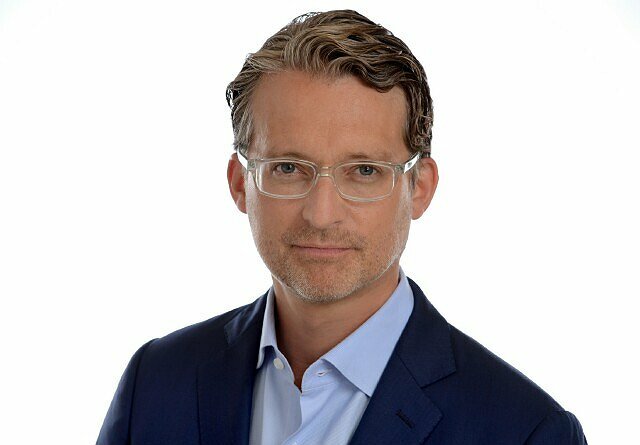 David Poltrack, chief research officer for CBS Corp. and president of CBS Vision, will be discussing the findings during a panel today at the Advertising Research Foundation’s annual conference. 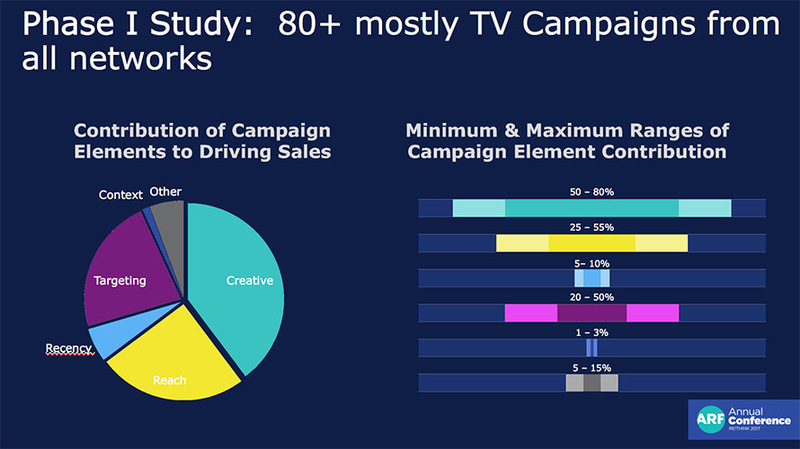 The study was part of three years of research by the CBS Campaign Performance Audit, or CPA, program, which examined how the five CPA components create an effective TV advertising campaign: test your message, maximize your weekly reach, get the most of out “recency” (timing close to purchase), precisely target potential customers and consider context (i.e., the surrounding programming). For the context portion of the study, Nielsen Catalina looked at the TV schedules for six consumer-packaged-goods, or CPG, brands in the second quarter of 2016 across multiple genres in broadcast and cable—no news, sports or kids’ programming—to find out which ads sold more products. The conclusion: Ads that appeared in sitcoms had the highest ROI followed by variety shows. Overall, high-rated prime-time shows give brands’ advertising a context that yields the highest ROI results. However, while context does have importance on its own, it’s less important than the other CPA components that contribute to driving sales. Having effective creative is the most important overall, followed by high reach, precise targeting, recency and then context. This study will “absolutely” be a part of CBS’s upfront message this year, said Poltrack, who added that the results reinforce what the network has been telling CPG advertisers for the past three years: As CPGs spend less money in prime time, they are reducing the reach and effectiveness of their campaigns. The percentage of broadcast prime-time spend in top CPG categories had been falling since 2000, when it was 40 percent, to 2013, when it bottomed out at 22 percent for next three years. But in 2016, the percentage of broadcast prime-time spend for those CPG categories increased to 25 percent, the first increase in the 21st century. During this morning’s ARF panel, Poltrack will also be discussing new data about millennials, a demographic that is older than many people think. “If you talk to people in the ad side of the industry now, they say, ‘I’m targeting millennials.’ We say, ‘How are you doing that?’ ‘Well, I’m buying 18-34,’” said Poltrack. However, the age range of millennials is now 22 to 40, stretching outside the 18-34 demo, and the median age of a millennial today is 30. TV viewing in that demo, and especially broadcast network viewing, will increase each year, while millennials’ economic value will also grow substantially in the coming years. CBS is looking at the concept of “delayed adulthood,” in which most millennials now say they don’t become adults until they’re 30. “All previous generations would have probably said 22 or 23,” said Poltrack. As millennials delay major lifestyle events, they are waiting longer to purchase homes, major appliances and new cars or trucks as compared to the same demo in previous years. But Poltrack noted that they will be moving into their peak consumption period, which rises from 40 to 50, over the next decade. 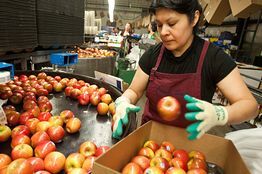 “Because of their delayed purchasing patterns and their delayed lifestyle, their purchasing is going to accelerate more than that of previous generations as they move into their 40s and 50s,” said Poltrack. And as millennials age, buy homes and have kids, said Poltrack, they will begin to watch more television and more broadcast TV. Nielsen looked at how TV viewing among the four big broadcast networks increased as viewers aged from one demo into the next during three “base years”—1990, 2001 and 2006—and compared those results to 2016. 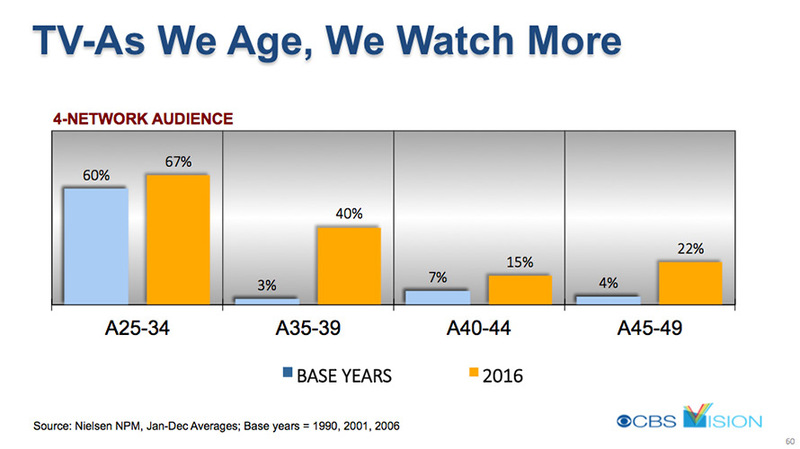 During the base years, adults in the 25-34 demo on average watched 60 percent more broadcast TV than they had when they were in the 18-24 demo. But last year, that average jumped to 67 percent. The shift is even more pronounced in the 35-39 demo, whose broadcast TV watching increased 40 percent from the 25-34 demo last year, compared with a mere 3 percent increase during the previous base years. “We’re seeing a greater acceleration of TV viewing as people age than we have historically,” said Poltrack. In January, digital media advertising growth continued its slowdown to single-digit percentage gains — off from its big double-digit hikes in previous periods.Standard Media Index says that for the second month in a row, digital advertising spend had modest growth: For January this was 6.3%, well off the 15% to 20% growth for most of 2016. Bright spots for digital came in the categories that are increasingly competitive to traditional TV. Digital video advertising on pure-play platforms rose 33%, while social media ad spending had nearly the same growth, at 29.5%. Pure play internet radio was next at 17.7%. Digital categories with a mediocre performance include search advertising, which grew only 2.9%; content advertising, which slipped 0.8%; ad network/ad exchange, which improved 3.3%; and mobile ad network/ad exchanges, which were down 2.2%. But traditional TV advertising continued to have strong results — confirming, in part, what senior TV network executives have said about a healthy scatter market. In January, network TV grew 5.7% — cable networks climbed 8.2%; with broadcast networks up by around half that amount — 2.8%. Much of the national broadcast TV spending results came from sports programming. Taking out those results yielded just a 0.2% hike; with cable still up 7.5%. Total TV — including local TV spot and syndication — was up 3.5%. All TV ad spend comes from SMI AccuTV — a new product that combines 70% of total national agency spend exclusively, with data model for the remaining 30%. Print media continued to face challenges with magazines virtually flat — down 0.1% — and newspapers sinking 25.5%. But radio climbed 3.9%, while out-of-home scored the best results for traditional media — with a 9.7% improvement. SMI says billboard advertising grew 29% in January.